J.R. Bruender Construction, Inc. – Protecting your health and our environment in Southern Minnesota since 1965. Looking to dig a new basement? When you need excavation and demolition services, the team at J.R. Bruender Construction, Inc. has the expertise you’re looking for. 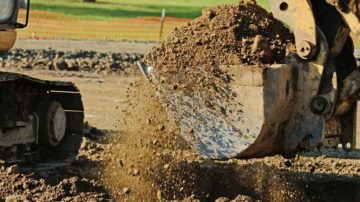 As specialists in excavation, you’ll get fast, reliable land preparation, landscaping, grading, and more. We take care of it all from installation to maintenance. 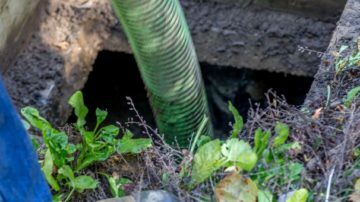 When you need septic system installation that is done right the first time, get in touch with J.R. Bruender Construction, Inc. With over 50 years’ experience, you’ll be glad you chose our friendly, knowledgeable team for your septic needs. Let us take the dirty work out of hauling for you. Looking for a quality Port-o-John or Portable Storage Unit to rent? We have a proven record of accomplishment and are a reputable company in Southern Minnesota. We ensure that all projects are done with utmost professionalism while offering clients the support they need when the project is completed. For us, honesty is the only policy and we strive to complete all projects with integrity, not just with our clients, but also our suppliers and contractors. With hundreds of successful projects under our belt, we are one of the most trusted companies in Southern Minnesota. We commit ourselves to complete all projects within the timeline set with our clients. Give us a call. We look forward to helping you on your next project. 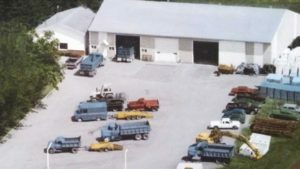 For over 50 Years J.R. Bruender Construction, Inc. has been bringing you expert construction and septic system services. Whether you're looking for construction, snow removal, demolition, trucking or more, J.R. Bruender Construction, Inc can help. J.R. Bruender Construction is second to none when it comes to digging basements and removing top soil for new home construction. We were very pleased with the service they offered. We cannot be more pleased with the new septic system Steve put in for us. The crew did a fantastic job and it was done in a timely matter. Thanks again for your help! Protecting your health and our environment in Southern Minnesota since 1965.